AdvantaClean offers the warm customer care of a local business and the expert work of a national franchise; everything we do is backed by over two decades of experience. You can count on us for moisture control measures that are perfectly suited to your home or business. Our office is available 24 hours a day, seven days a week, in case there are emergencies, and we can travel anywhere in Salinas, CA. First, though, let us describe what moisture control entails. Attics easily build up moisture because of poor or non-existent ventilation, so the first thing we'll probably do in the way of moisture control is add ventilation. More ventilation doesn't mean better results; in fact, it can increase moisture in attics, which is why you should let us do the planning. The general rule is that for every 300 square feet of attic space, there should be 1 square foot of ventilation. 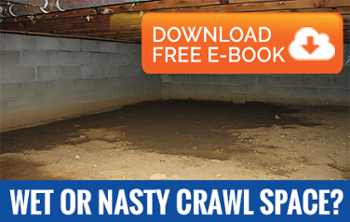 The crawl space is known for generating lots of moisture: vapor drive can occur in the soil, and condensation can develop on pipes and walls. This space is usually out of sight, out of mind, which is why moisture control is so important. Our company offers encapsulation. After carefully measuring the dimensions of your crawl space, we'll create a tightly fitting plastic membrane called a vapor barrier; this will go over the walls and floor. We'll likely need to install a drainage system to remove condensation that develops behind the barrier. You might think these vents are enough for moisture control, but when the climate is humid, they can wind up increasing moisture levels. For this reason, the barrier will have to cover up any foundation vents in your crawl space. Moisture control is essential for basements because they're so prone to flooding from all sides: a flood above ground can lead to seepage, surface runoff can leak through the windows, and the foundation could flood. Combine this with the high humidity, and it won't be surprising to find mold and mildew. Our team can waterproof the concrete and masonry walls in your basement using a concrete sealant; this provides a durable alternative to waterproofing paint, which quickly peels. We could also bring a dehumidifier and set it so that it turns on when humidity reaches an unsafe level. Get a hold of AdvantaClean today, and we'll set your consultation up for a time that works for you. Whether you're dealing with attic moisture or your basement was recently flooded, you'll get personalized advice and an accurate cost estimate. For moisture control in Salinas, CA, we can't be beat, especially when our brand is considered a HomeAdvisor Elite Service Professional.